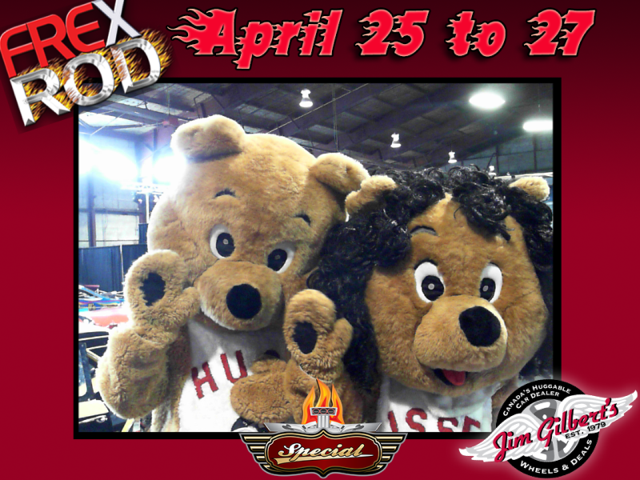 Wheels and Deals was pleased to participate in the 2nd annual Frexrod 2014, automotive event, that was held April 25-27 at the Capital Exhibit Center. The event was a great opportunity for car and bike enthusiasts to show their vehicles to the public. 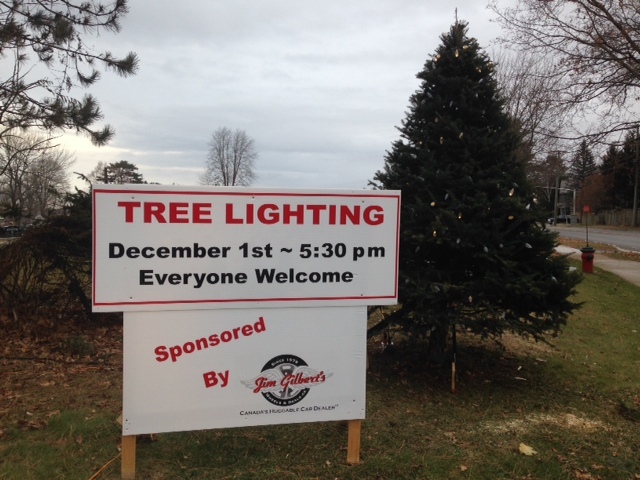 The event featured live music, a fashion show and a kids zone. We gave out lots of prizes including cowboy hats to each participant. Hugs and Kisses even stopped by for a couple of hours on Saturday. 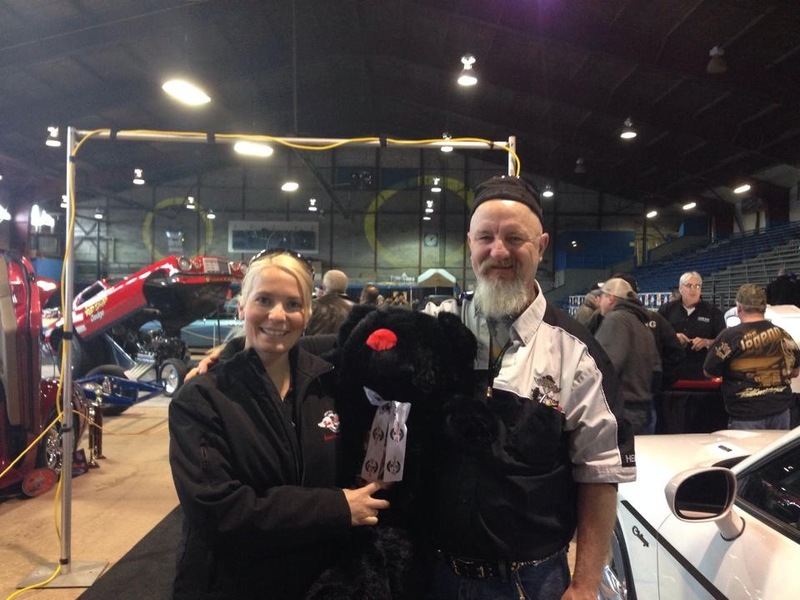 We enjoyed meeting car and bike enthusiasts from various parts of New Brunswick and of course, seeing all the beautiful vehicles and bikes.We were also pleased to bring home the award for Best Vendor Display!! Thank you to our customers for their huggable feedback, we always love to hear from you! 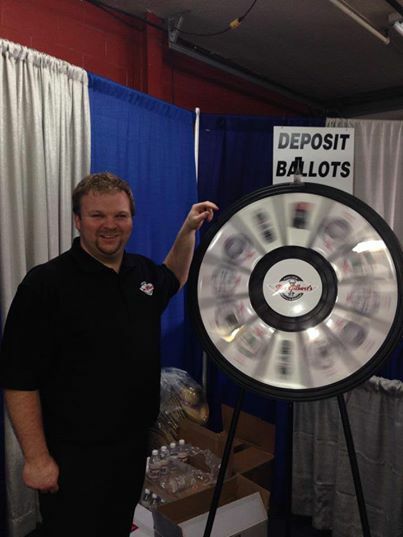 Wheels and Deals was the official dealer partner of the 2014 Home Show which was held March 28,29,30 at Capital Exhibit Center. 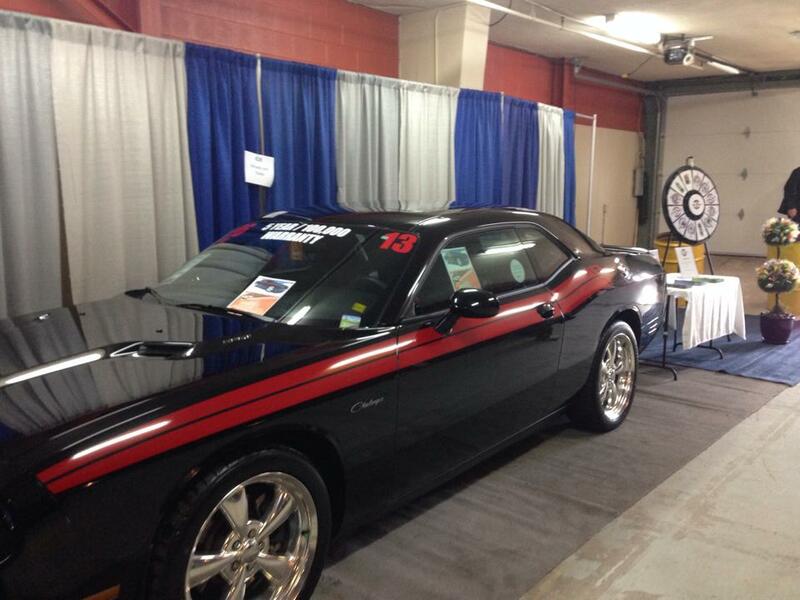 Thanks to everyone who stopped by our booth to look at our 2013 Dodge Challenger and to those who took a picture with our social media machine and spun our wheel to win a prize. 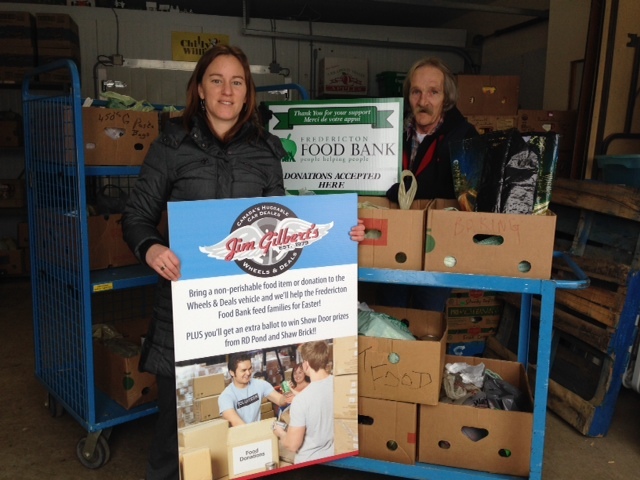 Throughout the weekend, we collected non perishable food items for the Fredericton Food Bank. On Monday, we delivered a van load of food to their facilities. Thanks to all those who made a donation! 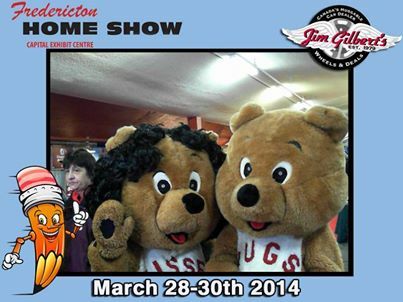 We had a great weekend at the Home Show and enjoyed making lots of new friends. As always, we appreciate the support we receive from the community…hugs! We were excited to read a blog post written about us this week by our friends at Sticky Branding. Sticky Branding is the place where business owners and marketers find practical insights, expertise and resources on growing sticky brands. Rome wasn’t built in a day, and neither are sticky brands. You can’t just go out and “buy” a sticky brand for your business. It takes years, often decades, to build a brand that resonates in your market and brings customers back again-and-again. “Every overnight successful business was 20 years in the making. We’re 34 years in the business, and we’re 14 years into the successful part of ours,” says Jim Gilbert, CEO of Jim Gilbert’s Wheels and Deals. 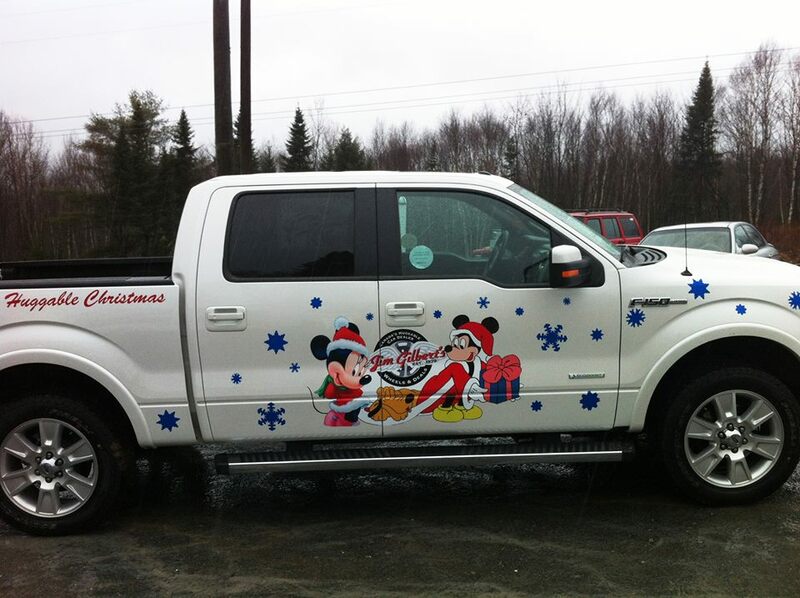 Jim Gilbert’s Wheels and Deals is the largest used car dealership in New Brunswick, and one of the largest in Eastern Canada. They sell over 1,200 “slightly used cars” a year. This is a big number considering the average independent used car dealership sells between 200 to 250 cars a year. 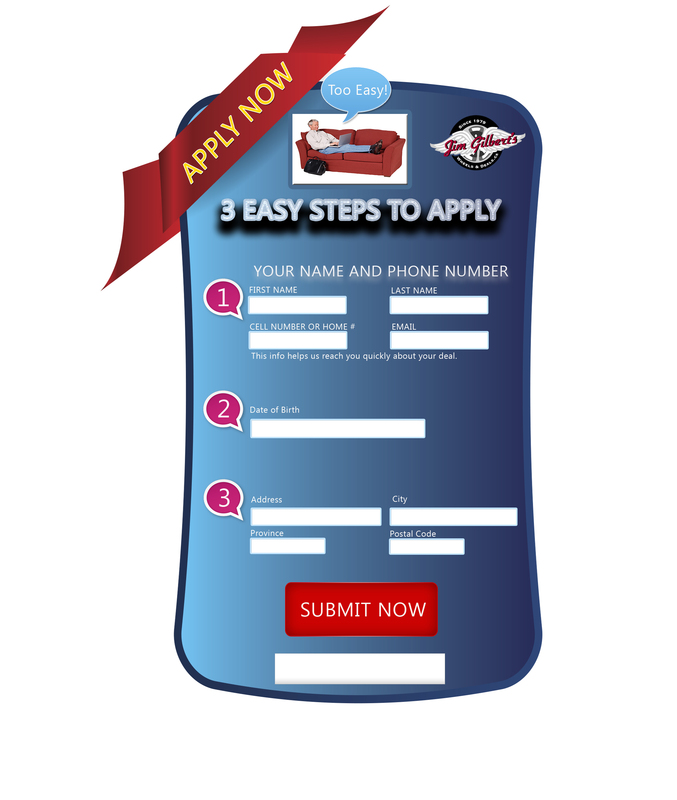 Wheels and Deals has an extremely loyal customer base, and they compete toe-to-toe with the new car dealers. Defined niche: “Slightly used cars.” They specialize in selling cars that are between 6 months to 2 years old, and have between 12,000 to 50,000 kilometers. Advanced marketing programs: There’s a number of programs to list, but a great example is their birthday gift program. They ship over 12,000 custom birthday gifts a year. Wheels and Deals is pleased to partner with Bliss Carman Middle School, Atlantic Superstore, Fredericton Food Bank and Kwik Kopy on an exciting community project…..I Can Do Math!!! 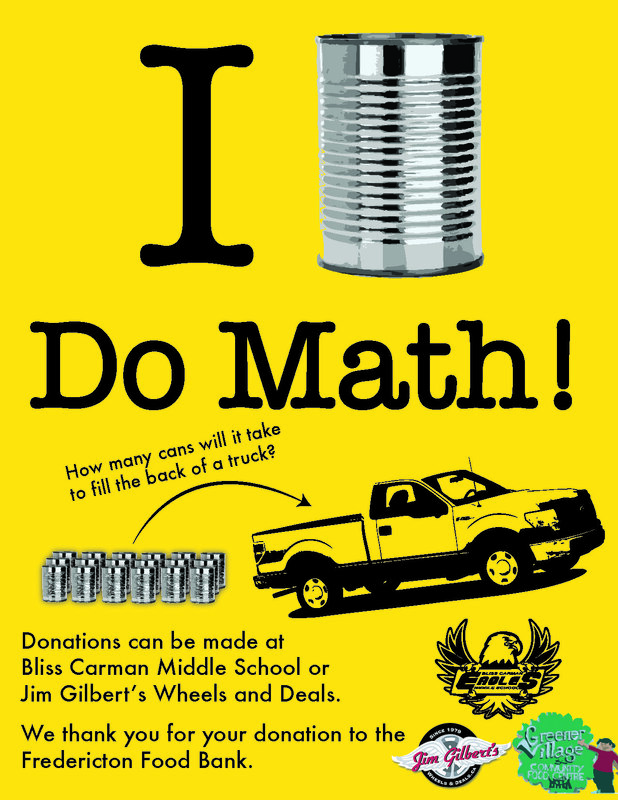 1) Mathematical- grade 8 students will measure and project how many cans of soup it will take to fill the back of a Ford F-150. 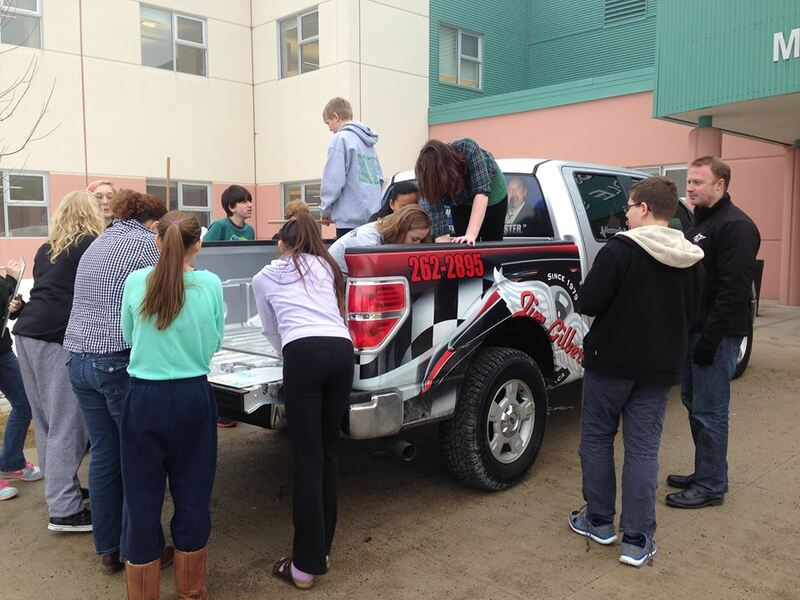 2) Humanitarian-Students will collect soup donations and will actually try to fill the truck with cans of soup. 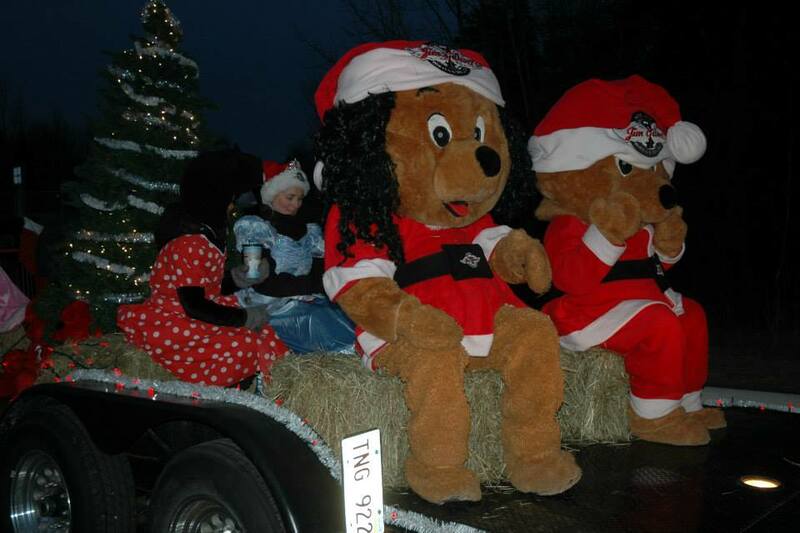 They will donate the cans of soup to the local Fredericton Food Bank. This huggable project provides students with the opportunity for hands on math and to also learn about the Fredericton Food Bank and help others in their community! 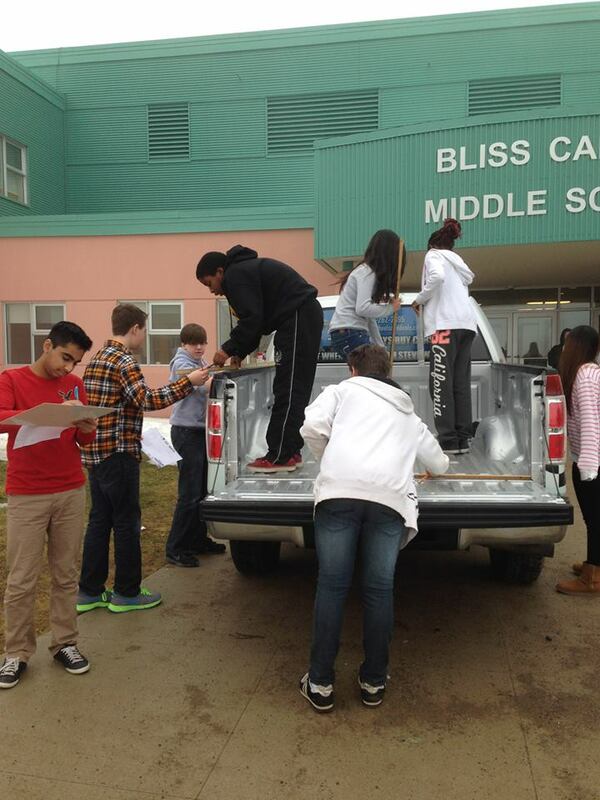 Last week, students began measuring the truck and preparing their calculations. Students are excited to fill the truck and are welcoming donations. Donations of cans of soup can be dropped off at Bliss Carman Middle School or at our dealership, Wheels & Deals. Special thanks and hugs to teacher Mr.Jacob Lingley for providing students with this learning opportunity and inviting us to participate! 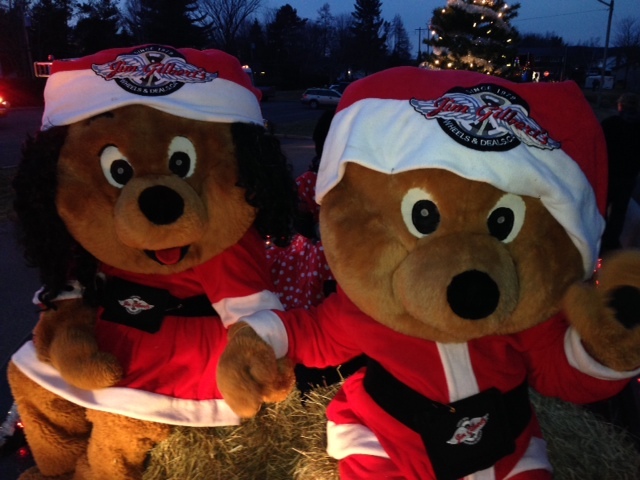 Wheels and Deals has kicked off the huggable holiday season! 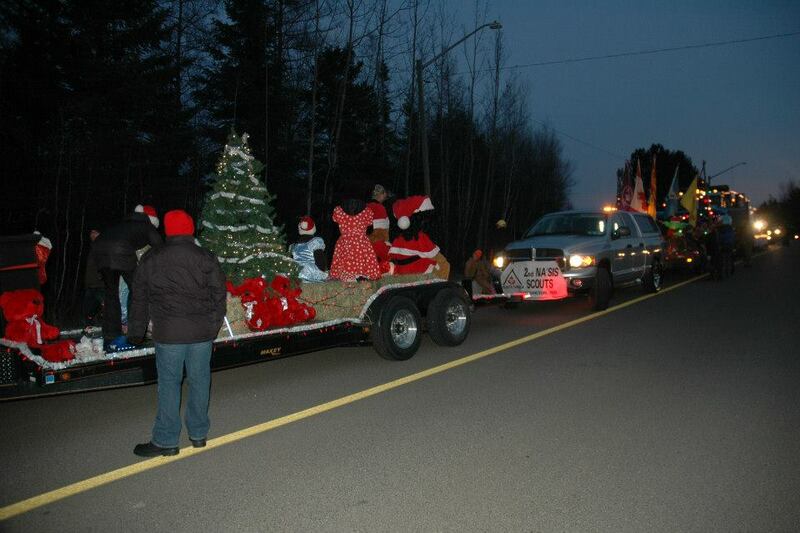 On Saturday evening, we participated in the Fredericton Kinsmen Santa Claus Parade. 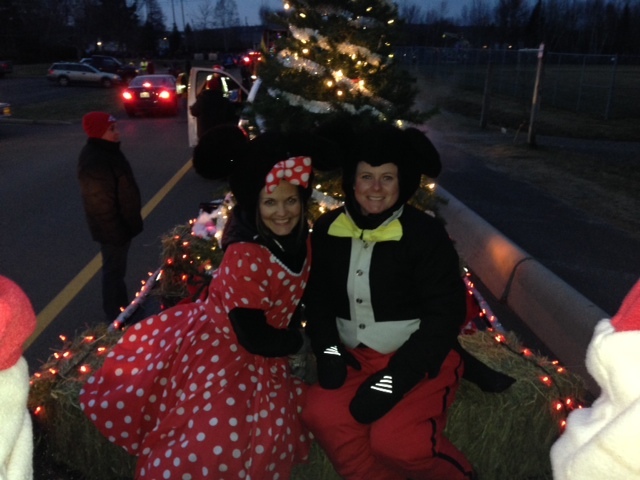 This year the parade theme was “A Disney Christmas”. 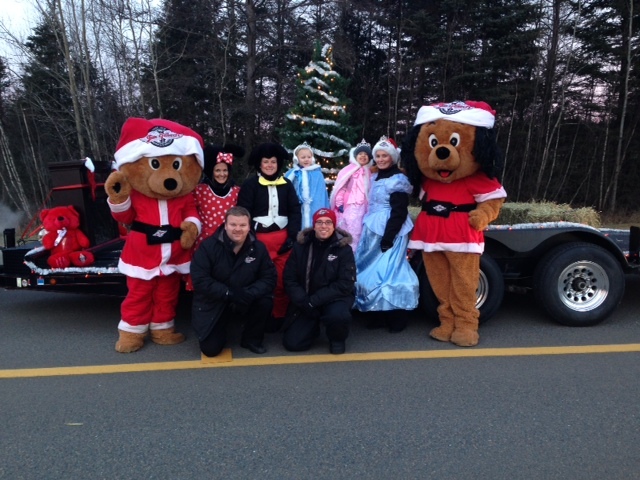 We were pleased to have Hugs and Kisses on our float along with Mickey and Minnie and some Disney princesses. 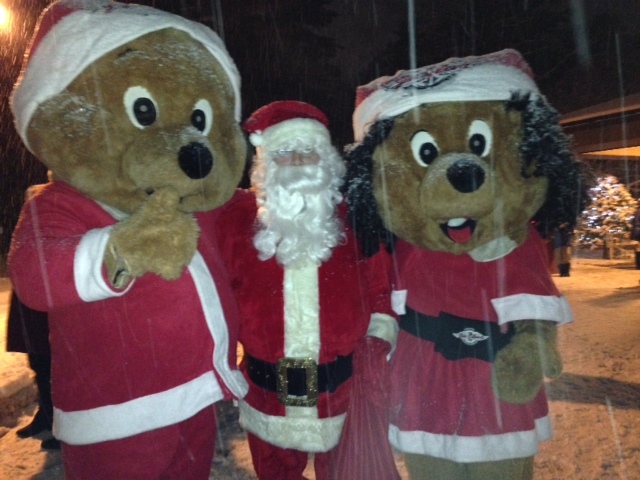 On Sunday evening, Hugs and Kisses attended the Festival of Lights Tree Lighting at Pine Grove Nursing Home. They had a great time despite the snow. 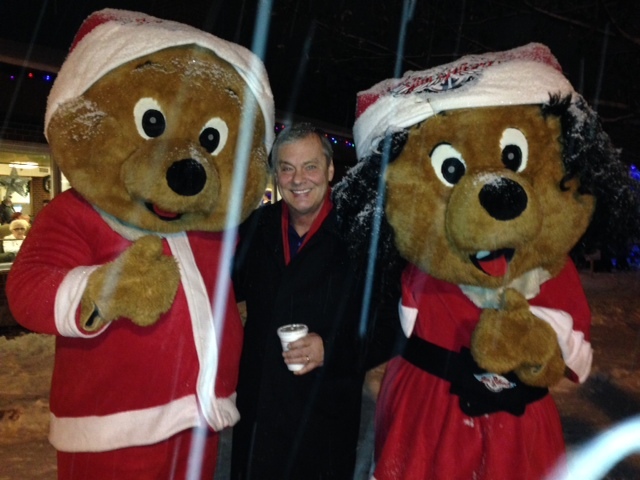 They ran into Mayor Brad Woodside and Santa Claus at the event! 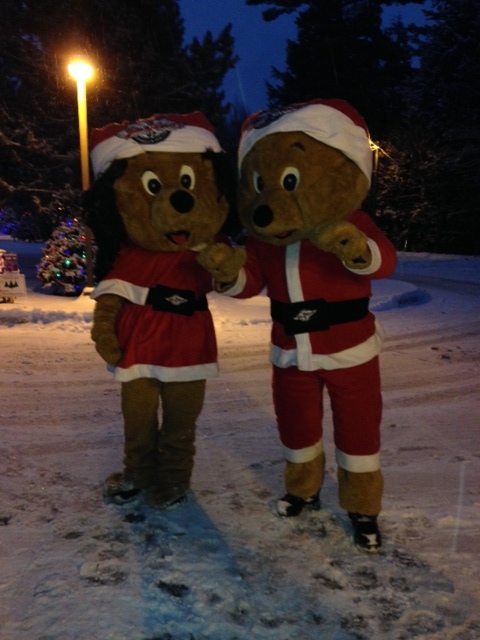 Watch for us at upcoming community events and have a safe and huggable holiday season!! 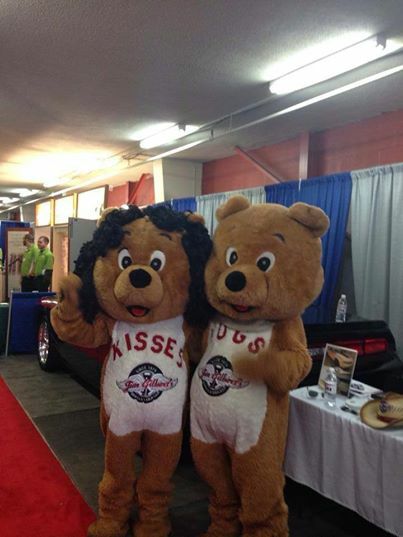 Safety is always a priority for us at Canada’s Huggable Car Dealer. We want you to have peace of mind in our vehicles and know your family, your precious cargo are protected. Every vehicle goes through a 152 point inspection, initial requirements to pass are 150% that of Provincial Motor Vehicle inspection. 5. Teach your kids — whether walking, biking, or riding the bus to school — to obey all traffic signals.Remind them to be extra careful in bad weather. 7. If your child bikes to school, make sure he wears a helmet that meets safety standards. Research indicates that a helmet can reduce the risk of head injury by up to 85 percent. 8. Teach children to arrive at the bus stop early, stay out of the street, wait for the bus to come to a complete stop before approaching the street, watch for cars and avoid the driver’s blind spot. 9. Remind your children to stay seated at all times and keep their heads and arms inside the bus while riding. When exiting the bus, children should wait until the bus comes to a complete stop, exit from the front using the handrail to avoid falls and cross the street at least 10 feet (or 10 giant steps) in front of the bus. 10. Tell your child not to bend down in front of the bus to tie shoes or pick up objects, as the driver may not see him before starting to move. 11. Be sure that your child knows his or her home phone number and address, your work number, the number of another trusted adult and how to call 911 for emergencies. 12. Avoid any drawstrings on the hood or around the neck of jackets and sweatshirts. Drawstrings at the waist or bottom of jackets should extend no more than three inches long to prevent catching in car and school bus doors or getting caught on playground equipment. 13. Teach children proper playground behavior: no pushing, shoving, or crowding. 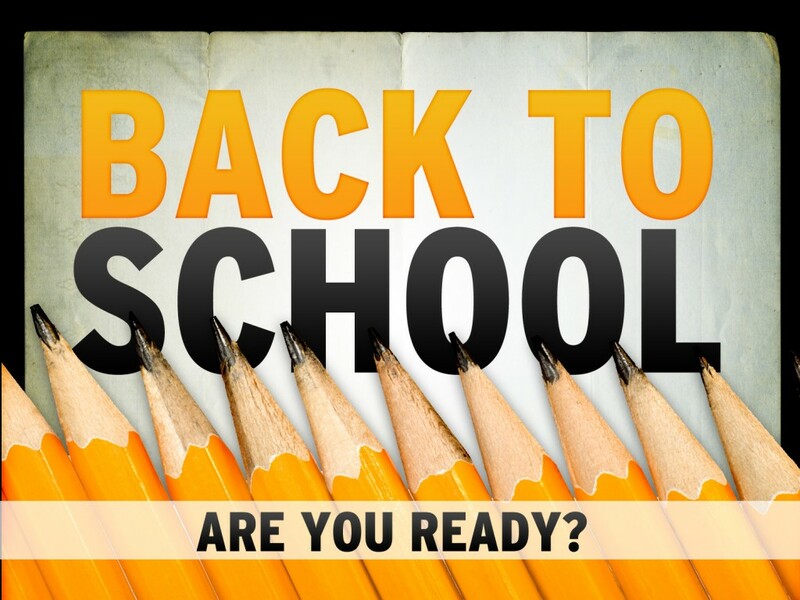 From all of us at Wheels and Deals, we wish your family a safe and successful school year!! 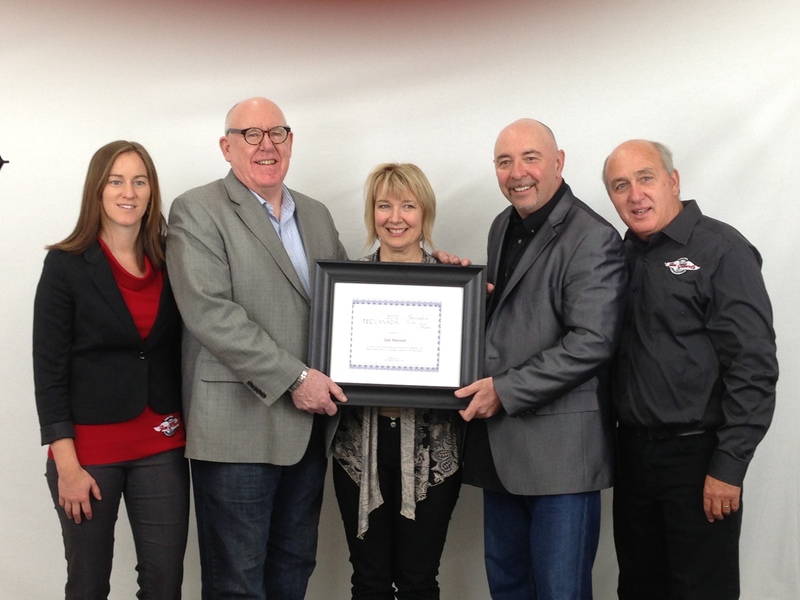 For 34 years, Jim and Dawna Gilbert have been earning their reputation as Canada’s Huggable Car Dealer. Being different and going the extra mile for their customers, Jim and Dawna have built a loyal customer base and a thriving business which now includes their son Alex and daughter Chelsea in the operation. 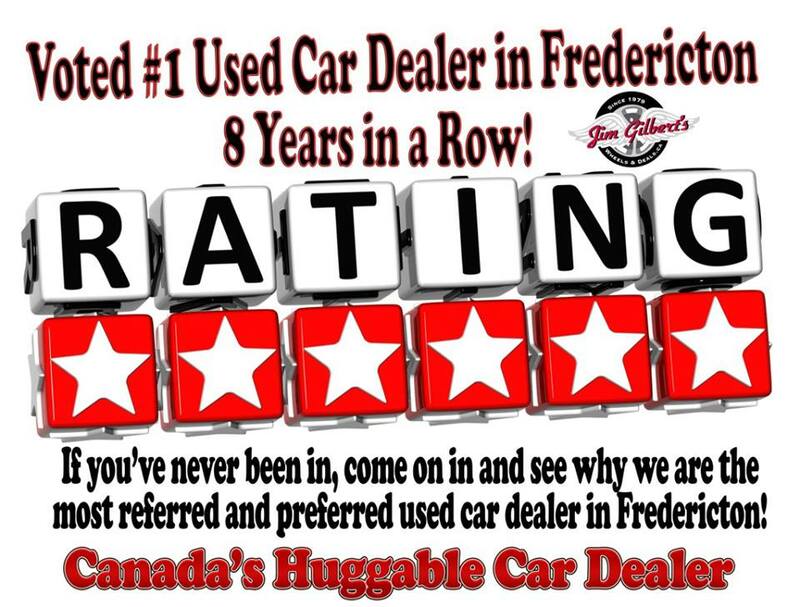 They continue to raise the bar for the auto dealer community with more huggable cars and more selection — plus more of the personal touch that Wheels & Deals has become famous for — at their state of the art Hug Quarters located on six acres of fabulous in Fredericton, New Brunswick. 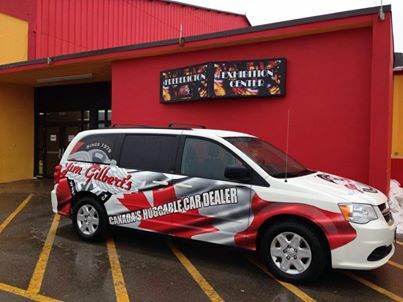 Jim Gilbert’s Wheels & Deals is more than a used car dealership…..so much more! 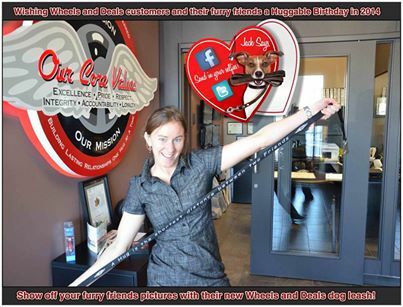 Jim and Dawna love what they do because they get to meet with people on an occasion that is truly happy. Everyone loves that feeling of driving off in their newer used car, truck or S.U.V. 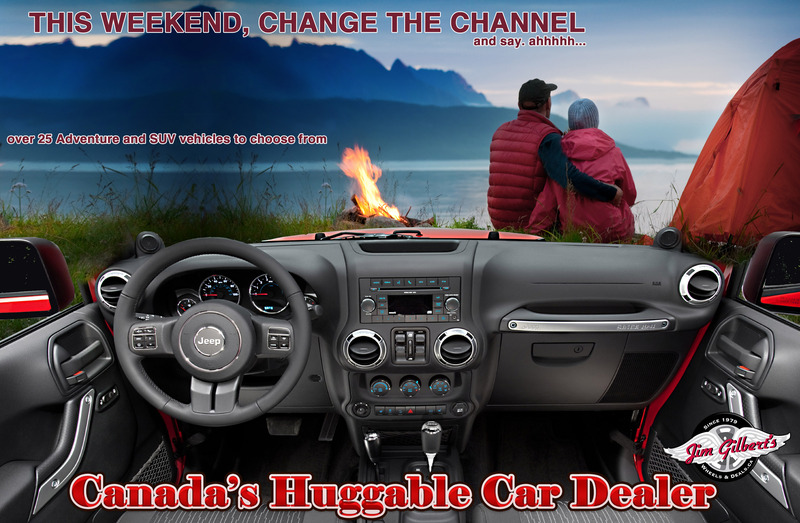 from Canada’s Huggable Car Dealer. You can see it in their smiles, the looks on their faces…that’s the reason the team at Jim Gilbert’s do what they say: quite simply, it makes people happy. 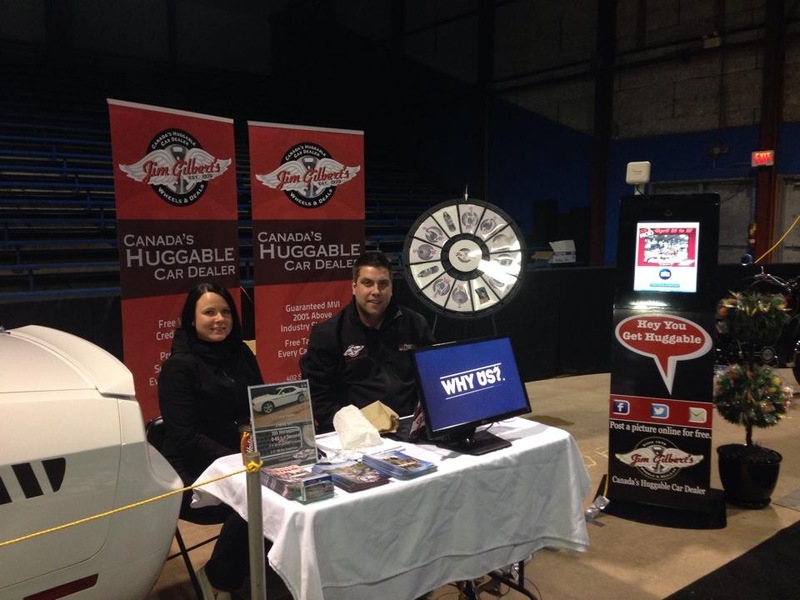 Doing business with the Jim Gilbert’s Wheels and Deals team feels like you’re doing business with family, and that’s because Jim and Dawna have always encouraged and fostered a family mentality among everyone who joins their Huggable Team. All of this and a lifetime supply of free hugs!!! 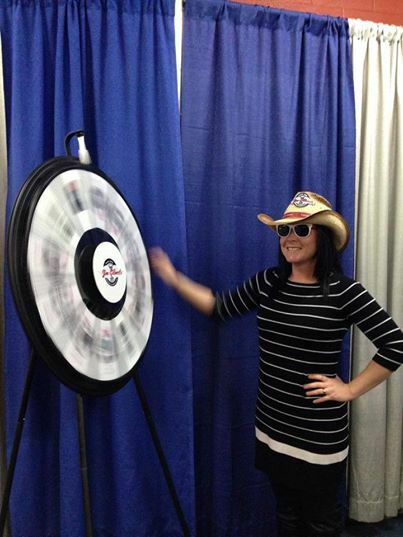 Our Wheels and Deals cowboy hats are growing in popularity and we have received some huggable feedback this week. My name is Brice. I recently started wearing one of your straw cowboy hats, which I acquired from underneath the back seat of a 15 pass van I was driving for the Cavendish Country Music Festival. When I found it, it was in a ball about the size of a softball! Anyway, I’m a cab driver in Charlottetown and since I started wearing that hat all hear is guys and girls alike saying “I love your hat!”. It’s done so much for my confidence, tips have gone up, I was even offered $100 for it and declined the offer. He then said hypothetically how much would it take before you would part with it? I told him $400 that way I could get over and get another one. That’s when I thought about the power of the internet!! Anyway the point of all this is to find out if you still have more of these magical frosty the snowman cowboy hats left and how can I get my hands on some more? I would be lost without it! 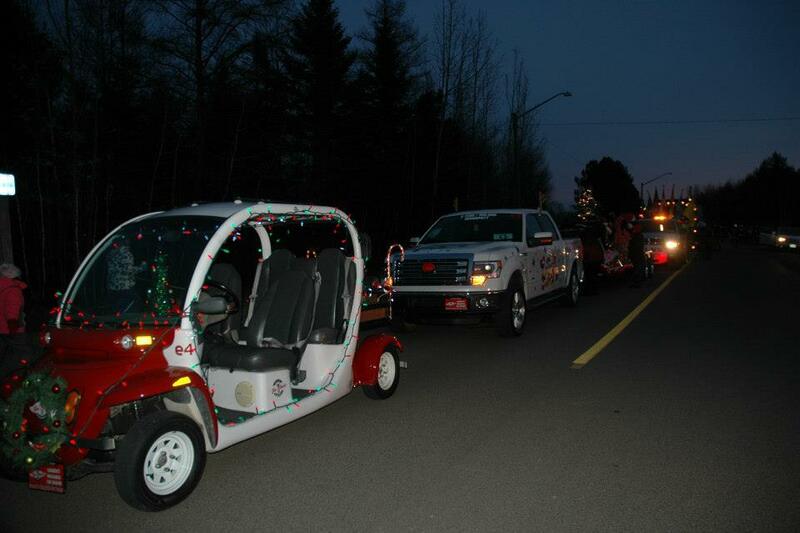 We also received an awesome photo from some participants in the Doaktown Parade of Lights on Sunday night. 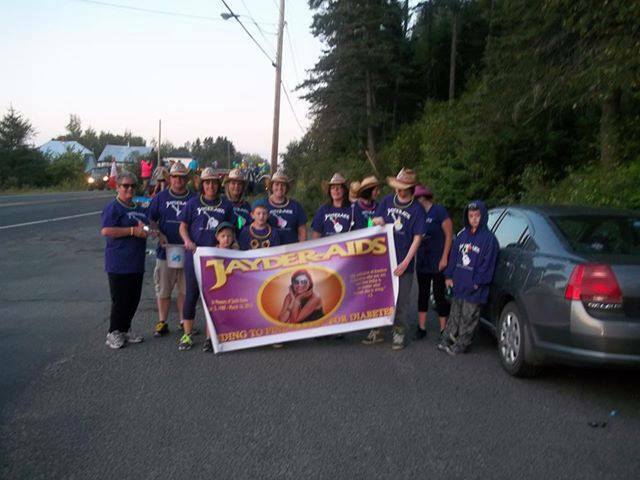 Chrystal and Will participated in the parade on behalf of Wheels and Deals and met up with Jayder-Aids, a team raising funds and awareness for juvenile diabetes in memory of Jayde Kasia Hunter- a beautiful, talented (singer, song writer) young women who passed away earlier this year. Our cowboy hats had special significance to Jayde’s family and friends as Jayde released a CD and on the album cover of her CD she wore a hat almost identical to our Wheels & Deals cowboy hat. Her family and friends were pleased to walk the parade route wearing our hats and will continue to wear them at their upcoming fundraising events throughout the year. We wish them much success with their fundraising efforts! 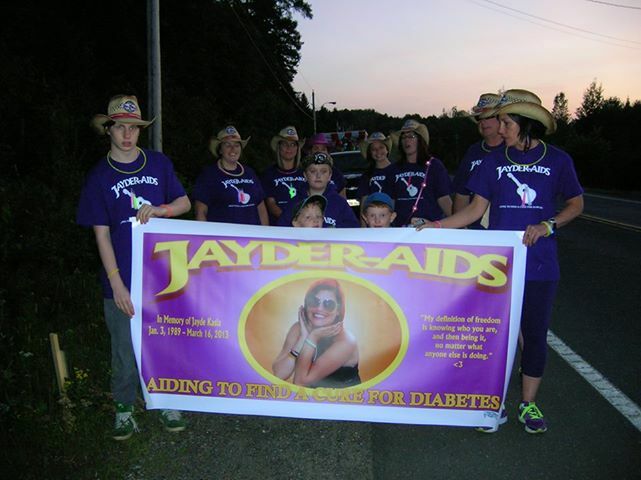 Thank you to Brice and team Jayder-Aids for wearing our hats and sharing your stories and photos with us. Thank you for your confidence in Canada’s Huggable Car Dealer, hopefully WILL VENATOR fulfilled your expectations and you enjoy your 2012 Dodge Caravan from Jim Gilbert’s Wheels and Deals. 1- How would you rate your experience with our team? From 1 below average to 10 above average. Feel free to elaborate. A 10, everyone was very friendly. Will explained all areas of the financials very well and so we could understand them. This is very much appreciated. He was also great at helping us find a deal within our budget. Yes for sure. Any chance I get. 3- We would like to Enter You in our Monthly $50.00 Gas Draw, Your feed back is needed to Help us to Serve You better.. Please select Your answer…What brought you to Wheels and Deals? Repeat customer and Jim has always been a great supporter of the Military and MFRC, where I work. ThankYou Shannon and Welcome to the family! Our Mission..Building Lasting Relationships one HUG at a Time. 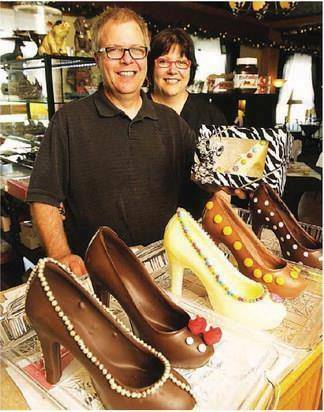 FROM CANADA’S HUGGABLE CAR DEALER…..THE JIM GILBERT’S WHEELS AND DEALS HUG OF THE WEEK GOES TO… UWE AND BEATE KUESTER, OF THE CHOCOLATERIE FACKLEMAN !! 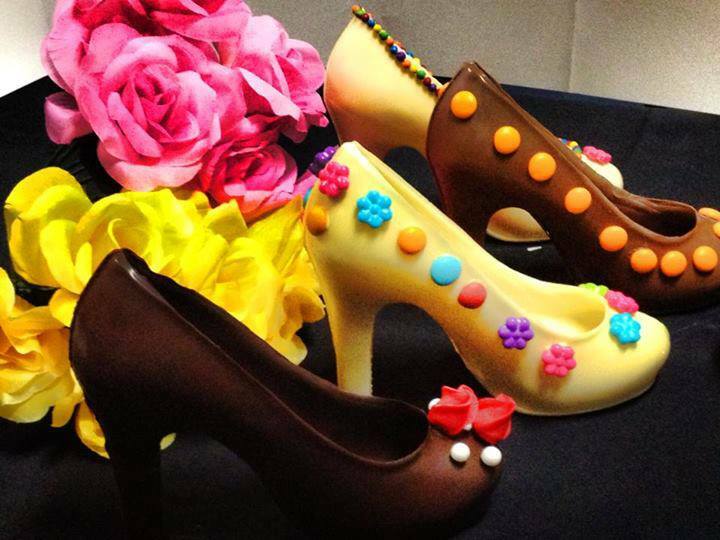 BITE INTO ONE OF THEIR CHOCOLATE SHOE CREATIONS… AND A DOLLAR GOES TO THE FREDERICTON FOOD BANK !! DELICIOUS DONATIONS !! Fredericton Community Services Incorporated is a registered, not for profit corporation that operates a food and clothing bank at 686 Riverside Drive in Fredericton NB. Food and clothing is distributed free of charge to qualifying families in a 50 klm radius surrounding the greater Fredericton area. The corporation’s current active client base of 1831 families consists primarily of low or fixed income individuals that need supplementary food and clothing. These families include 3466 individuals, 1247 ( 36%) of whom are children. Founded in 1984 under the auspices of the Seventh-day Adventist Church, the corporation has grown to become a well-established and very strong brand image within the City of Fredericton better known as “The Fredericton Food Bank”. The corporation finances its operations with a nominal government grant from Social Development and primarily by donations from the local community. The corporation’s mission is to provide emergency food and clothing to those in need with the intention of helping them towards self-sufficiency. This help is to include provision of education in the areas of health, personal financial management, spiritual counseling and other areas as determined by community needs. 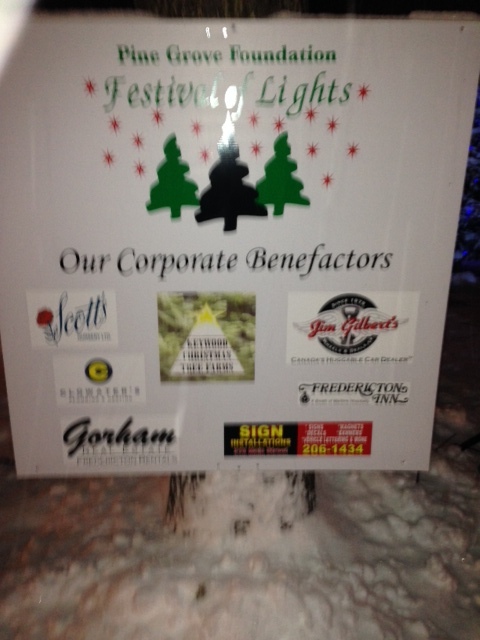 The corporation also provides assistance in times of natural disaster. The corporation strives to meet the needs of its donor and client base and to promote economy and efficiency in the delivery of services. Experience: I rate my experience with your team on a scale between one and ten at a 15. Your team, especially Steve Webster and Troy Fasquel are a cut above the rest. You can’t even compare your team to that of another used car sales business or even a new car dealership. The knowledge and effort that your team put into, not only their jobs, but their personal lives as well, in the dedication they put into volunteering and charity fund raising is very impressive. I haven’t seen this at any other business that I have been to. From the time that I went onto your lot to look at your selection, until the time that I came home with my new-to-me car and beyond, my experience with your team has been none other than stellar. Your team sweats professionalism, friendliness and courteousness to the point where you feel like your old friends, maybe even family. This is why I will continue to return to Jim Gilbert’s Wheels & Deals when I need a newer vehicle. Future Referrals: YES!! 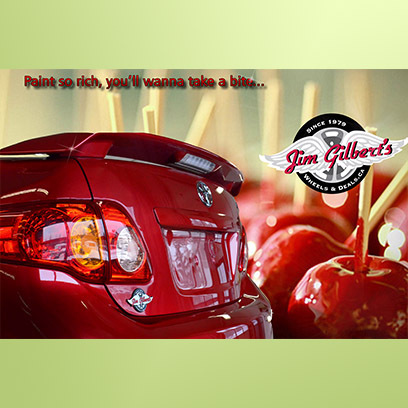 I would definitely recommend Jim Gilbert’s to my friends, family, and anyone that asked about buying a vehicle, I would say go to Jim Gilberts. You’re going to be treated like you’ve never been treated before. 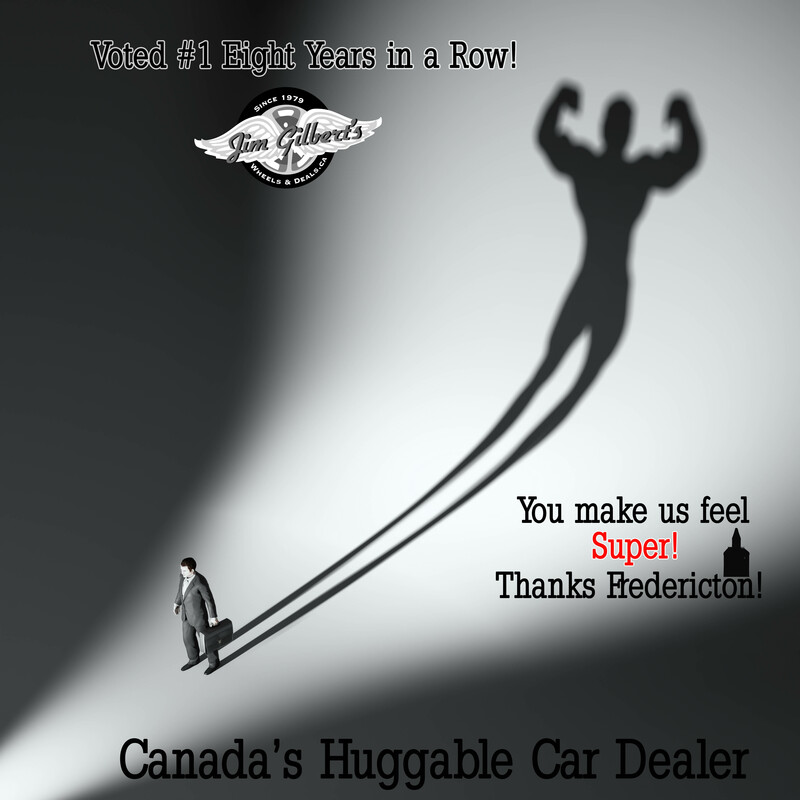 Thank you David for your confidence in Jim Gilbert’s Wheels & Deals- Canada’s Huggable Car Dealer. 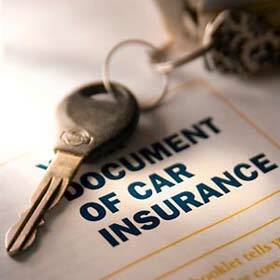 For many young drivers, automobile insurance which is required by law in Canada can be costly. Often times insurance rates for young drivers reflect lack of driving experience. “Statistics tells us that drivers aged 16 to 24, though they only represent 9 per cent of the driving public, they also represent 25 per cent of the road fatalities and serious injuries.” explains Peter Warner of the Insurance Bureau of Canada. -installation of approved anti-theft devices, such as immobilizers and tracking devices, may result in discounts . -maintain a clean driving record. No tickets, charges, accidents or other claims can translate into a no-claims discount. Road trips are an important component to the summer experience and reaching your destination on time and safely are essential.
. If you’re low on oil, you can either add another quart or simply change the oil completely. The oil should look brownish yellow and clean on the stick. If the oil is a dark color or there’s a lot of dirt and grime in it, then you definitely need an oil change and oil filter replacement. First of all, get rid of those snow tires. Snow tires are heavy and will lower your fuel economy. It’s also important to really clean the undercarriage of the car after a long winter, especially if you live in a snowy climate. The salt that’s used to melt snow and ice on roads can get caked on the underside of your car and begin to eat away at the metal.
. The most vulnerable parts of the hose are those nearest to clamps where the hose connects to the radiator or the engine. Belts can also be visually checked for cracks and damage. Take note if the belt looks excessively slick or smooth. Remove the belt to make sure that the material hasn’t started separating into different layers.
. Go to an auto parts store and they’ll be able to give you the right blades for your make, model and year. Brakes need to be replaced when the lining on your brake pad or brake shoe is worn down past the minimum thickness specified by the car manufacturer. The summertime is tough on cooling systems. Sitting in traffic on a hot day is one of the quickest ways to overheat your car. This is because there’s no air flowing across the engine to help keep it cool. A well-tuned cooling system can take long idles in hot weather, but if you have low coolant levels or a busted fan belt, your engine temperature is going to go up — and fast. Check under the hood and make sure that your coolant levels are fine. The general rule is to flush your radiator and add new coolant at least every two years. Flushing the radiator is done with a special chemical that cleans debris and build-up on the inside of the radiator. For summer driving, coolant should be added as a 50/50 mixture of antifreeze and water. If you suspect that your battery is being overcharged or isn’t holding a charge well, take it to a service shop where they can run a quick battery inspection. And if you need to replace the battery, make sure that it’s the right battery type for your specific make and model of car. The most common cause of a malfunctioning air conditioning unit is a low level of refrigerant. This could be caused buy a leak somewhere in the system. Since modern air conditioning systems are complicated creatures, it’s best to have a professional check out the problem. From all of us at Jim Gilbert’s Wheels & Deals we wish you and your family a fun, safe and huggable summer!!! 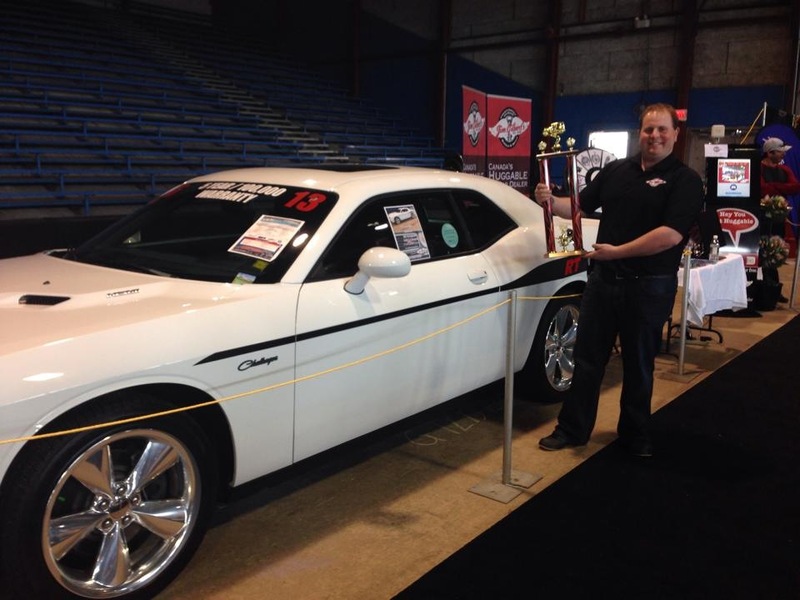 But in the case of Jim Gilbert, it has been climbed to the point where for many, Gilbert’s is the only choice when it comes to trading in the old car for a newer one. We’ve all seen or at least heard about those surveys where they list the least trusted professions. They vary a bit but not much – they are usually pretty consistent. Like this one from http://www.jobboom.com. Journalists come in at number #9, lawyers at #4, politicians at #2, and holding the #1 spot as the least trusted profession in Canada – used car dealers. I took a social media workshop a while back facilitated by David Shipley, who focuses on this kind of thing for UNB. Excellent workshop BTW that you might want to catch if this is something you are interested in, and if it is repeated, but I digress. So back on point. In that workshop, David asked the class what we could think of as local examples of exceptional marketing. What jumped to my mind immediately was Jim Gilbert’s Wheels and Deals. 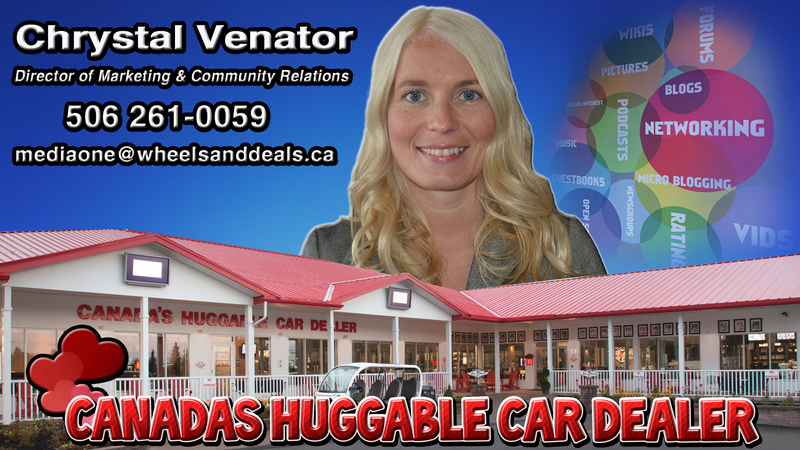 I have always marveled at the success of a strategy to brand someone who sells used cars as “Canada’s huggable car dealer”. Think about it – a used car dealer of all people – the very cliché of untrustworthiness, as referenced in the typical survey above, being branded as someone you want to hug. Most people fear used car dealers because they feel it is inevitable any encounter will end with them being ripped off. So here is marketing that turns that whole perception on its ear by positioning this specific used car dealer as someone you want to hug; someone you actually want to be around. What a huge mountain that is to climb. But in the case of Jim Gilbert, it has been climbed to the point where for many, Gilbert’s is the only choice when it comes to trading in the old car for a newer one. That is what every entrepreneur aspires to, to be seen as not only the best choice, but the only choice. When you are financing a vehicle purchase, lenders will want to know how you will protect your loan. In the event of a total vehicle loss due to fire, theft, collision or flooding, your automobile insurance carrier will pay you a settlement based on Canadian Black Book values plus tax. If you are a high kilometre driver however, your settlement will likely be a lot less than what you might expect. Registering Guaranteed Asset Protection, or GAP as it’s commonly referred to, will pay loan shortfalls preventing customers from a serious financial mess still owing money to a lender with no vehicle. The coverage costs just pennies per day and is highly recommended. Ask The Expert: Do I need Paint Protection. 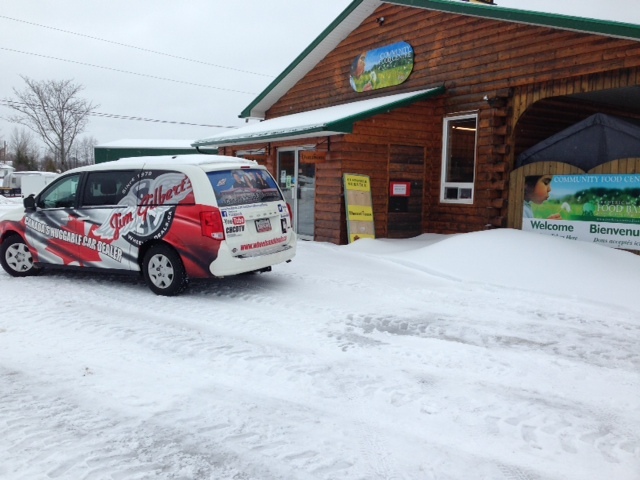 You Get Free PRO-TECH Seal Paint Protection at Wheels and Deals Fredericton Oromocto. Q: Jim, what is and do I need paint protection? A: Wax is one form, but it only lasts around 45days, heat melts it off, washing and road dirt wear it off. I recommend a onetime paint sealant treatment that protects your vehicle from oxidation and one that you will never need to wax your car again. At Wheels and Deals we believe in this so much that we apply at our expense a Free PRO-TECH SEAL Paint Protection on all our vehicles. Wheels and Deals HUG OF THE WEEK GOES TO… NACKAWIC RECREATION DIRECTOR, RANDY WILSON… AND THE TOWN OF NACKAWIC !! CONGRATULATIONS ON BEING NAMED AS N-B WELLNESS COMMUNITY… GREAT JOB !! 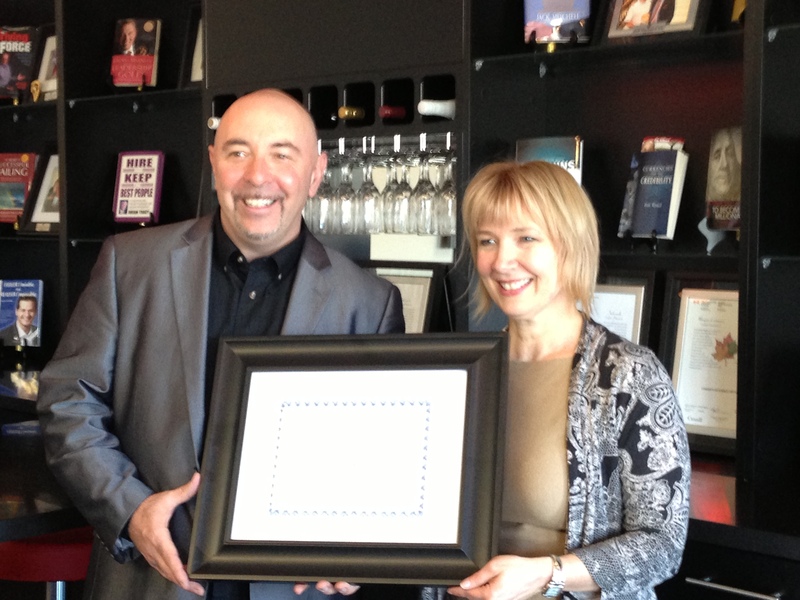 TEC Canada (The Executive Committee) has awarded Gair Maxwell, co-founder and CEO of The Seamless Brand out of Moncton, New Brunswick the 2012 “Canadian Speaker of the Year”. For nearly 30 years, TEC Canada has been the preeminent leadership development program for Canadian CEO’s and business leaders. In winning the award, Maxwell becomes the first Atlantic Canadian author/speaker to be honored in such a way by this organization. In making the announcement, TEC Canada Vice-President Karen Chown indicated that Maxwell and his “American Speaker of the Year” counterpart Jim Alampi of Michigan were chosen based on the value each brings to the TEC membership experience. As Chown explains, “Gair and Jim were selected based not only on high presentation scores from our members, but also on their · contributions to the TEC community, their ability to exceed performance benchmarks and their demonstration of commitment to TEC Canada. Both Gair and Jim are great ambassadors to our mission in helping accelerate the growth and global development of Canadian business leaders through professional development and executive mentoring”. Maxwell, a highly regarded brand catalyst, workshop leader and critically-acclaimed author of “NUTS, BOLTS AND A FEW LOOSE SCREWS” (Amazon.com) presented at over 22 TEC meetings during 2012 and received consistently high ratings and endorsements from members across Canada for his niche insights on branding. Alampi, an expert on leadership alignment and plan execution was also recognized as the 2011 Impact Speaker of the Year for Vistage International, TEC Canada’s parent organization, based in San Diego, California. Maxwell has been breaking more international ground recently, and collecting accolades with his expertise on branding that translates into actual business results. In addition to the national award from TEC Canada, he has also been chosen as the first Canadian speaker ever to present at the prestigious PSA Financial Services’ partnership program in Baltimore, Maryland. PSA Financial established their monthly, customer-focused educational series in 2008 and with his upcoming engagement April 30th, Maxwell joins an impressive list of best-selling authors and former NFL and MLB athletes to have addressed this exclusive group. TEC Canada is part of a global network of more than 16,000 business leaders and CEO’s in 15 countries, generating nearly $300 billion in annual revenue and employing over two million people. In Canada, there are over 1,000 members in more than 90 TEC chapters located in major centres across the country accelerating the growth of Canadian business.